TORONTO, ONTARIO--(Marketwire - May 13, 2008) - Ontarians will be the first in Canada to have the opportunity to purchase two new varietals of Dan Aykroyd's Discovery Series wines - the Dan Aykroyd Discovery Series Sauvignon Blanc and Dan Aykroyd Discovery Series Cabernet Shiraz, announced Murray Marshall, President & CEO, Diamond Estates Wines & Spirits Ltd., the owners of a number of Ontario wineries including The Dan Aykroyd Winery project. The wines, which will retail for $14.95 for the Sauvignon Blanc and $16.95 for the Cabernet Shiraz, are available at LCBO stores now. 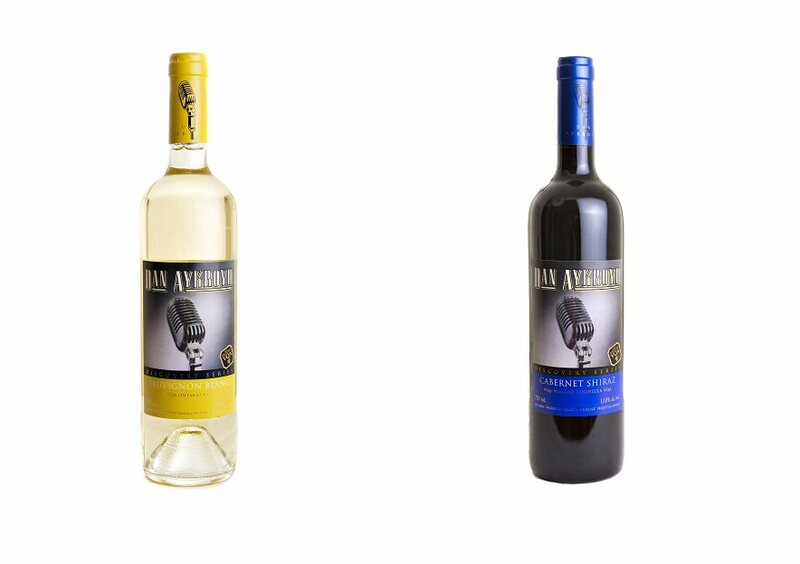 These wines follow the successful introduction of Dan Aykroyd Discovery Series Chardonnay and Cabernet Merlot which now rank amongst the top ten selling VQA wines in their category in Ontario after only 9 months of sales. The Dan Aykroyd Discovery Series Sauvignon Blanc is clear, pale gold in colour and bursting with fresh aromas of peaches and gooseberries. The palate complements these aromas with crisp citrus flavours of lemon-lime, grapefruit and nectarine, accompanied by slight grassy and mineral notes with a refreshing finish. The grapes were intentionally harvested at different times in order to incorporate a variety of maturity levels from the fruit into the wine. The Dan Aykroyd Discovery Series Cabernet Shiraz is a blend of Cabernet and Shiraz. This Cabernet Shiraz displays a rich bouquet of dark berries and peppery notes. This deep ruby red wine was gently barrel aged in a combination of American and French oak barrels for 12 months prior to bottling. The palate is smooth in texture, showing concentrated flavours of black plum and cassis complemented by an undercurrent of spicy layers. According to Dan Aykroyd, "I am a very big fan of Sauvignon Blanc and Cabernet Shiraz blends. These are great table wines that are crafted by very dedicated and talented Canadian winemakers. I am very proud to have my name on these bottles as they represent a genuine passion of mine."